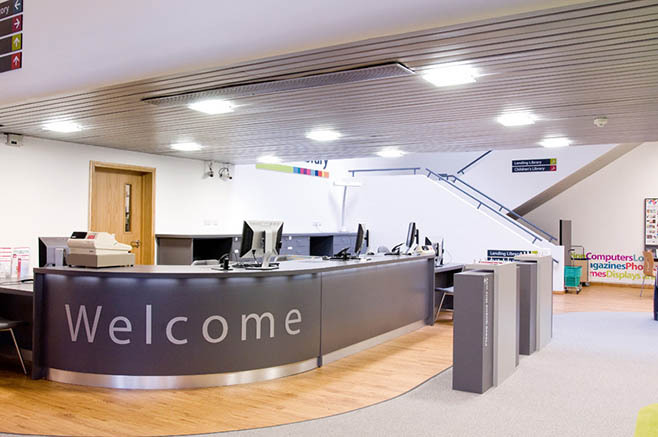 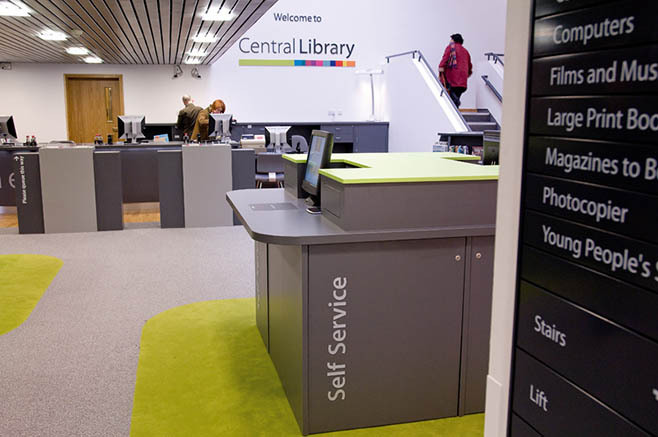 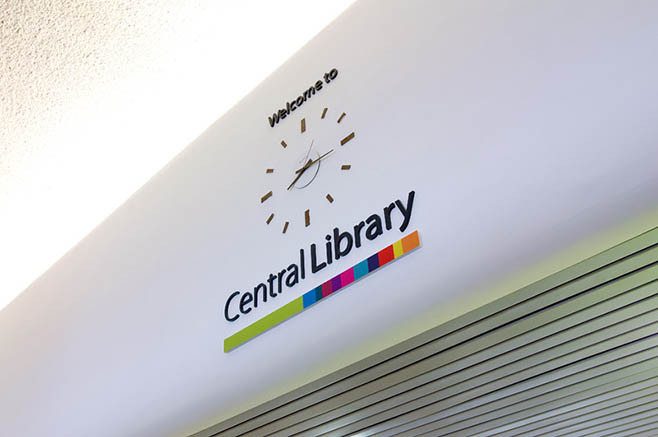 The entrance to the Central Library has been remodelled to create fresh, modern, welcoming interiors providing all the facilities and access that any visitor could want. 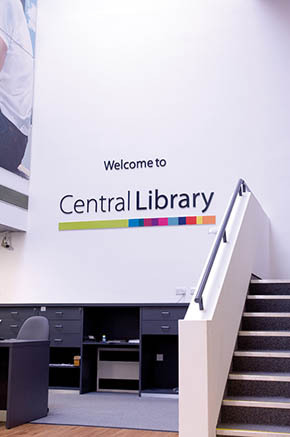 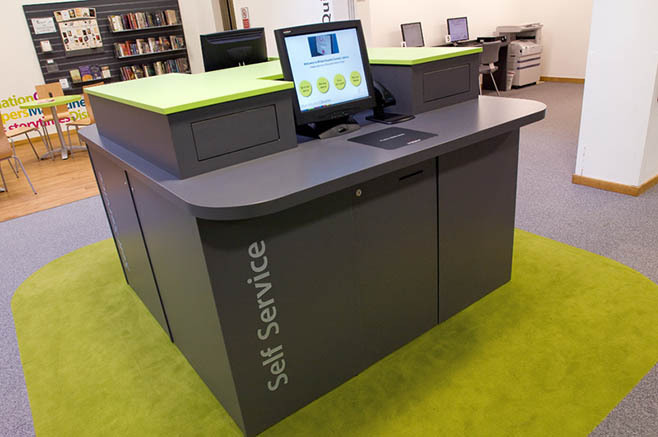 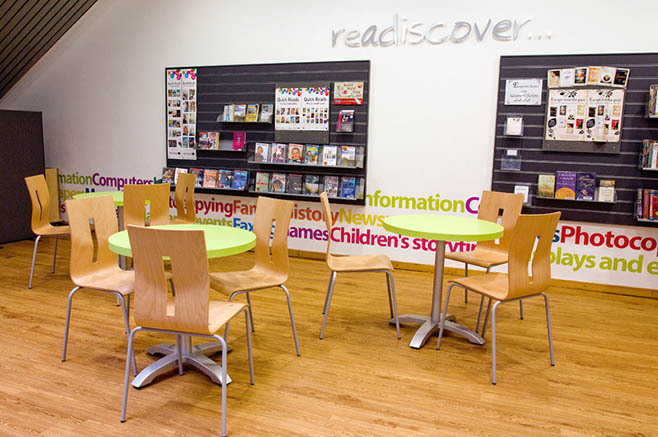 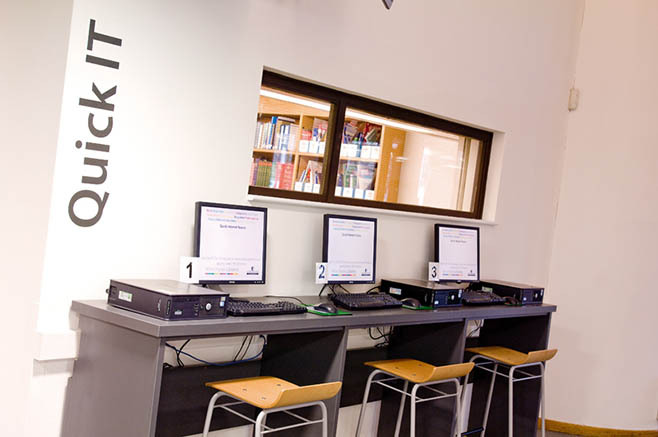 The foyer, with its familiar artwork, has been redesigned using the newly-developed library branding and now comprises self-service, quick choice, quick IT and a cafe area. 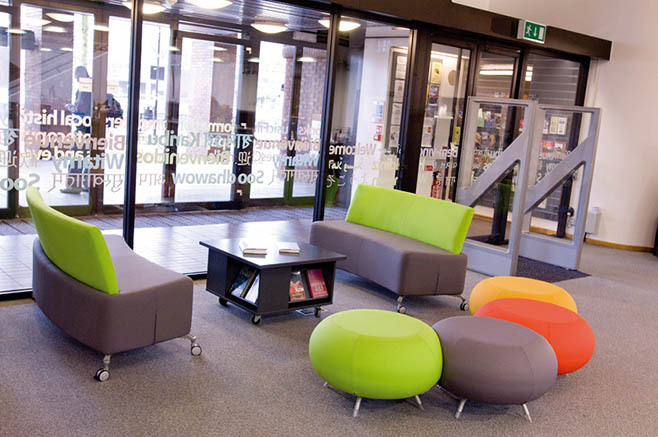 Using brightly coloured sofas and pebble stools to match the branding colours and cafe/bistro style tables and chairs together with bespoke self-issue islands and book display units the area is transformed and occupies a completely different 'space'.